Dramatically thinner than the original Freestyle, the Kinesis KB800HMB-us Freestyle2 is ideal for both office and travel use. 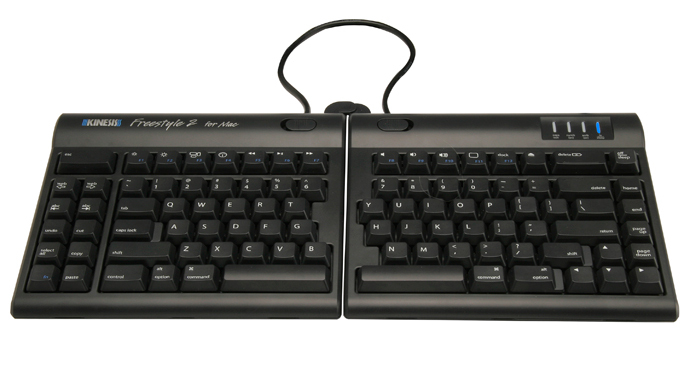 Retaining the same ergonomic features as its predecessor the Freestyle2 is the only keyboard that adjusts to each individual's unique body type - from petite to large frame. Accommodates a wide range of humans - From small to tall and body types in between, the Freestyle2 allows for maximum flexibility catering to each individual's unique needs. Narrow foot print for comfortable mousing and keying - At only 15 3/8 inches wide the Freestyle2 provides for close placement of any pointing device reducing over reach issues. Pivot Tether - Both modules are connected together by a flexible pivot tether allowing an infinite range of splay and greatly reducing ulnar deviation. Slide Release Button - Each keyboard module incorporates a slide release button that allows the attachment of both the pivot tether and the Incline Accessory. 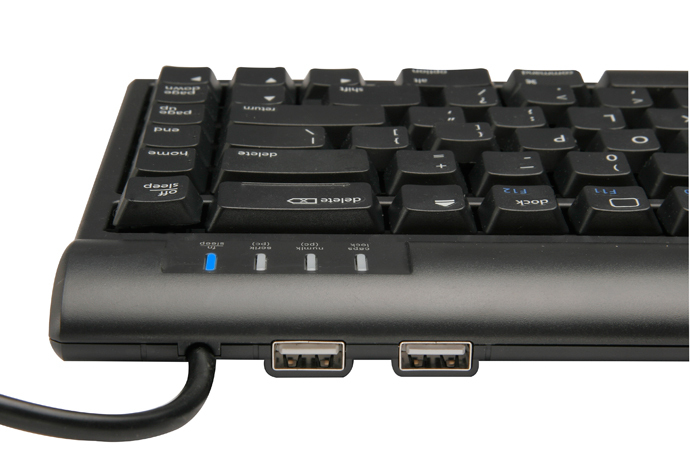 Provides total separation of both keyboard modules - Disconnecting the privot tether allows up to eight inches of complete separation of both left and right keying modules. Perfect for individual needs ranging from a narrow footprint to complete separation. This design greatly reduces and/or eliminates ulnar deviation one of the leading causes of discomfort and pain while typing. Also available is a custom version that offers up 20 inches of separation. 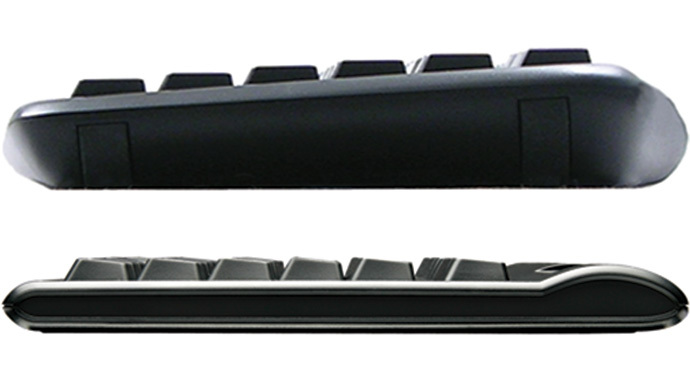 Sleek, low profile design - Most keyboards including ergonomic models have a 10 degree positive slope from front to back. These designs tend to bend your wrists (extension). The Freestyle2 has a zero degree slope which minimizes the height, effectively creating negative slope and reducing wrist extension. 2-Port 2.0 USB Hub - The 2-port 2.0 USB hub enables you to easily connect other input devices such as mice without having to access USB ports on your computer. Left Side Driverless Hot Keys - Driverless hot keys for commonly used mouse actions. (Internet Page Forward and Back, Beginning of Line, End of Line, Cut, Undo, Copy, Select All and Paste). 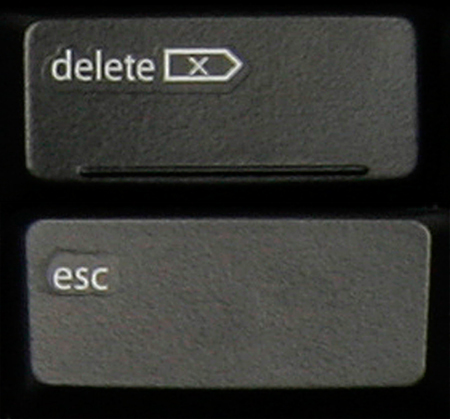 Double wide Escape and Fwd Delete keys - The Kinesis2 for Mac employs double wide Escape and Forward Delete keys making for an easier target for your fingers to press. Familiar key layout - Familiar key layout provides for minimal adaptation time. 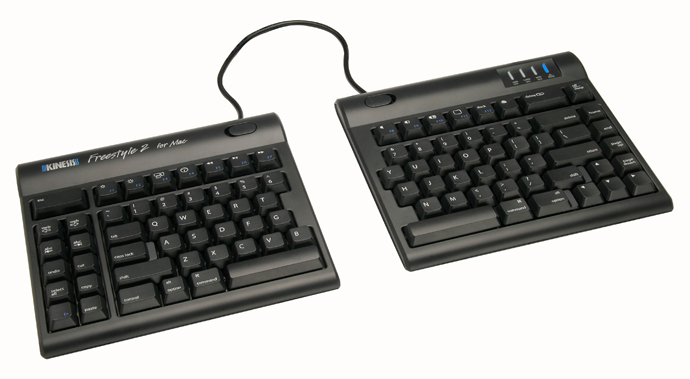 Quiet, tactile key switches - The Freestyle2 utilizes a quiet, low-force, tactile membrane key switch. The typical average maximum key force of a switch is 45 grams. This is at least 25% less than most traditional and many ergonomic keyboards such as the Microsoft 4000 with maximum key forces of over 60 grams. Warranty Two year limited warranty. Hot keys on F5-F7 require the Apple keyboard update 1.1. or newer. Question: I need a a split keyboard for a Special Ed student. School system uses Google extensively and this would be used on a Chromebook. I'm hoping to have an alternative to this keyboard. It's ok if special function keys are lost, concerned most with regular keys used in regular office programs/word processing. Answer: Currently there is a limited number of Chrome OS-compatible keyboards available which are sold by manufacturers of Chrome OS Boxes (PC’s) and Chromebooks (Laptops). To the best of our knowledge, there is currently no Chrome OS-compatible split keyboard currently on the market. However, virtually all standard USB and Bluetooth keyboards and mice will work with Chrome OS. This is regardless of whether they were made for Windows, Mac, or Android. You may lose dedicated function keys, such as screen brightness buttons I described over the phone. Regular key functionality should remain the same.